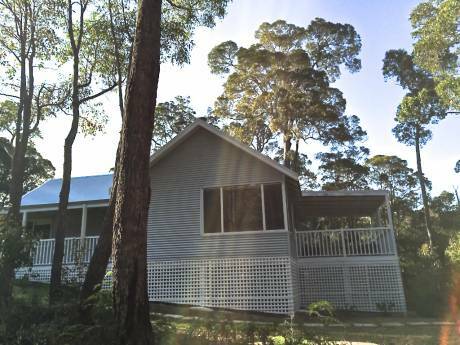 Old weatherboard home with new kitchen and flooring, large backyard with trampoline. Bedrooms are large and bright and there is a family room upstairs with an extremely large tv, the house is home to 6 children and so there is plenty of toys, games and playstation and computer. The house is not precious but it is clean and bright and so central to all the attractions in the area. Walking distance to the train and bus. walking distance to Camelot, an outdoor cinema that has the best gourmet pizzas and wine available. We will have an airconditioner by November. There is also a cot if needed. we live across the road from a village which has fresh bread every morning, gourmet deli, coffee, cafe, etc. To the left of us we can walk to the beaches (think white sands and clear blue water) great kids beaches and one surfing beach (approx 8 minutes walk) and all along the main beaches there are restaurants and cafes (great for breakfast). To the right of us (approx 5min walk) is the Swan river which is fantastic for long nature bush walks and fishing, sailing, windsurfing, boating and skiing. There are many parks around our neighbourhood and many families are often down there kicking the footy and walking their dogs. Because public transport is only down the road we often take the train into the city of Perth (20 minutes) or Fremantle (8minutes) there are cultural attractions in Fremantle and they have a cinema and lots of fun events on for children. 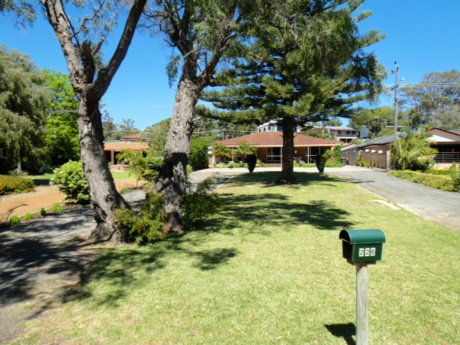 Cottesloe and Claremont provide exciting shopping and they are 2 and 5 minutes drive. For all the activity around our neighbourhood our place is very peaceful and it is possible to take a book down to the river and find a quiet spot to read. I am Celina and my husband is Darren, we are a working couple, I run my own business in advertising and Darren is project manager for Austal ships. We have six children (two teenagers,11,9,5 and newborn) they are great kids and are very helpful with cooking and looking after the younger ones, we take full advantage of the sport in our area and spend alot of time doing family things. We have been busy renovating our house in the last two years and want to now spend time with other family we have in New Zealand and London.